....................'And for any budding tarot readers out there! We are all doing it wrong!! We have a card missing!!! If you can't be bothered to read all the pseudo-intellectual b*££*£(%$, it stands for trickery and mischief making, or means you are "nuts". Squirrel Symbolism THE HAPPY BLOODY SQUIRREL! Quote from article :. “Squirrels can teach us balance within the circle of gathering and giving out. Quote :. you want a spiritual guardian .....NOT A BLOODY SQUIRREL I DONT.....spiritual or real. I do fully agree with the article about the squirrel, called Ratatosk section. Running up and down the tree causing all the gossip and reveling in mayhem....but I don't have one Ratatosk...I have 23 of them...it is total chaos and my house will fall down soon under the weight of too many fat Ratatosks. Interesting to read that the Wabanaki Native Americans believed Meeko the squirrel was originally created to be a GIANT monster of intense destruction. It wasn’t until the god Glooskap came along and brought judgement to the squirrel and made him small. But though his size was changed his temperament wasn’t and thus kept sowing discord through words and taking delight in it. ....well Technophobe while I am indeed most grateful to this Glooskap, perhaps he/ she could have used a little bit more of the shrinking powder on them.... made them just a bit smaller...like ant size, or even better flea size, or bacteria size, or virus, or smaller still perhaps prion size. Also agree Squirrel is an agent of chaos, confusion and trickery. Yet my neighbour keeps feeding them out of little blue and pink bowls. They have brainwashed her. When mice become infected with the parasite Toxoplasmosis in their brains they start to take risks such as running out from under cover at night. They think this helps the mice get caught and eaten thus passing on the parasite. I wonder if squirrels have a parasite they pass onto humans which causes them to do irrational things like buy huge bags of nuts to feed them daily with. Quote : one of the Squirrel family gathered the energy of Eagle and connected to the Great Spirit… now this Squirrel can fly.”- ......Well that's just great wonderful news, that is all we need.. although we don't have flying squirrels here YET.... give them time and like wraiths on wings they will come and my house will be the one ring they flock to. If I read tarot cards and The " happy squirrel" came up in any reading .....I would simply tell the subject to RUN while they can . 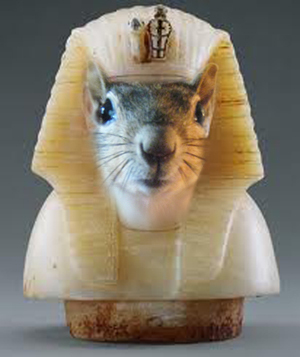 All this talk of pandemics and flu and it will be the squirrels that will be the end of us. For anyone not following our previous posts on squirrels..this is an on going joke and not the rantings of some mad people ...I think. Did I once describe facebook as facile? I was wrong! Could Squirrel trade have contributed to England's medieval leprosy outbreak? Genetic analysis of a pre-Norman skull unearthed in a garden in Hoxne, Suffolk, has added to a growing body of evidence that East Anglia may have been the epicentre of an epidemic of leprosy that spread through medieval England. A strain of the disease may have been brought to East Anglia's coast line through contact with Scandinavia via Anglo-Saxon movement or possibly the later sustained trade in squirrel fur, the new study suggests. 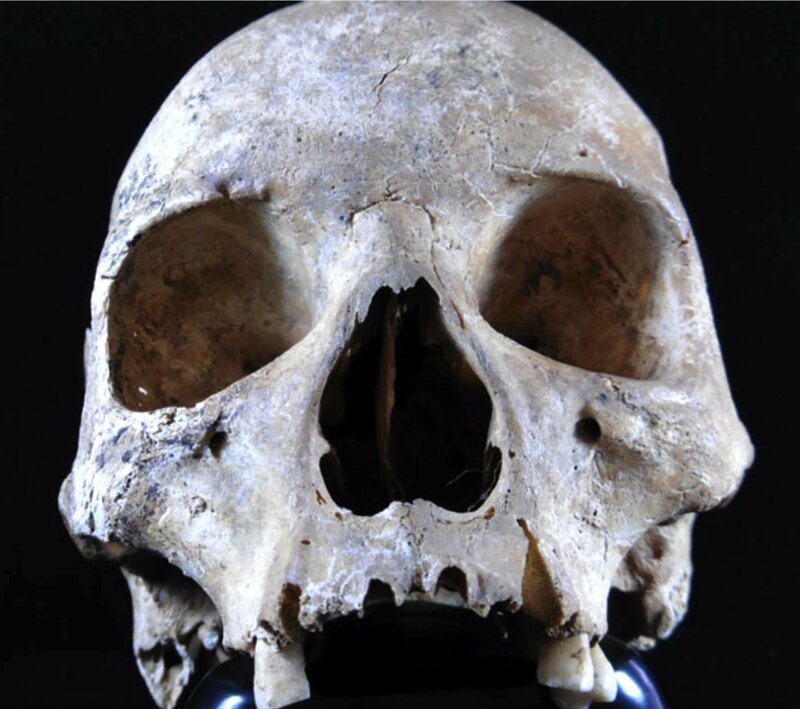 The research, reported in The Journal of Medical Microbiology, identified evidence of a strain of Mycobacterium Leprae (M.leprae), the bacteria that causes leprosy, in ancient DNA extracted from a female skull discovered in Suffolk. "The Woman from Hoxne" is one of a growing number of medieval leprosy cases identified in human remains found in or around East Anglia in the early medieval and Norman period. The researchers suggest that an explanation for the prevalence of leprosy in the area may be found in medieval trade, possibly in fur, which would have included that of squirrels - an animal known to carry the disease. Working in collaboration with The Friends of Diss Museum and the University of Surrey, the study examined genetic information from a skull held in the collections of the Diss museum in Norfolk since its accidental discovery in the late 20th century. 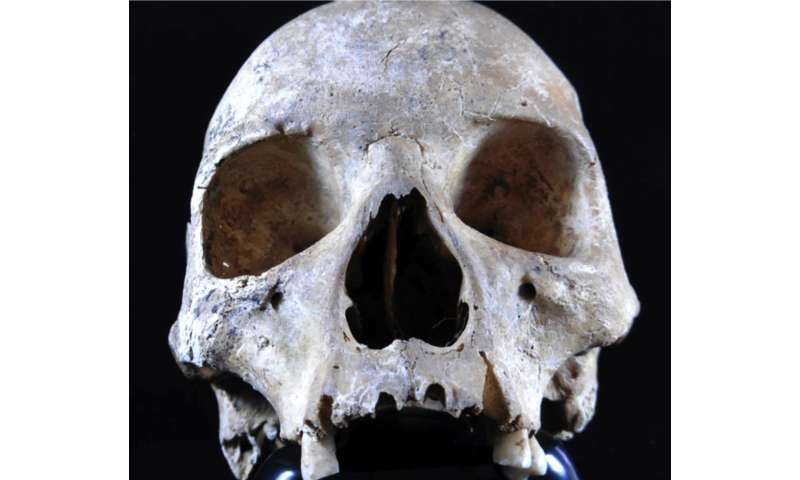 On account of its size and shape, researchers suspected the woman had lived between the 5th to 11th centuries, but their interest was piqued by abnormalities visible on her skull - such as destruction to the nasal spine -which had the hallmarks of leprosy. Through radiocarbon dating, a team of researchers confirmed that the woman, who probably lived on a diet of wheat, barley and pottage with a small amount of animal protein, is likely to have lived between 885-1015AD. Taking shavings of bone from the skull in order to extract ancient DNA, they also detected traces of the bacteria M.leprae. The disfiguring disease is likely to have had a severe impact on the woman's life. The visible damage to her skull provides evidence that she would have had extensive facial lesions and is likely to have suffered nerve damage to her extremities. Analysis of the bacteria revealed that the "Woman from Hoxne" had been infected with the same strain of leprosy already identified in skeletal remains found in East Anglia. The strain had previously been found in the skeleton of a man from Great Chesterford who lived as early as 415-545 AD, suggesting that it persisted for hundreds of years in the South East of Britain. Sarah Inskip, Research Associate at St John's College, Cambridge, and lead author of the paper, said: "This new evidence coupled with the prevalence of leper hospitals in East Anglia from the 11th century onwards adds weight to the idea that the disease was endemic in this region earlier than in other parts of the country. "It is possible that apparent clustering of leprosy cases in the East Anglia region could be attributed to chance - perhaps more medieval human remains have simply been uncovered in the region and the discoveries have been better conserved by a soil type containing high levels of bone-preserving chalk. However, the same conditions are also found in areas such as Hampshire and Dorset, where many early Anglo-Saxon cemeteries have been excavated, but no cases of leprosy have yet been reported." The same strain of leprosy has also been identified in skeletal remains in Medieval Denmark and Sweden and the study's authors suggest that North Sea trade links with Scandinavia may offer an explanation for the apparent prevalence of the disease in East Anglia. "It is possible that this strain of leprosy was proliferated in the South East of England by contact with highly-prized squirrel pelt and meat which was traded by the Vikings at the time this woman was alive. Strong trade connections with Denmark and Sweden were in full flow in the medieval period, with Kings Lynn and Yarmouth becoming significant ports for fur imports" added Dr Inskip. The last case of human leprosy in the British Isles was over 200 years ago, but a recent study demonstrated leprosy infection in red squirrels on Brownsea Island in Dorset. The disease affects the squirrels in much the same way as humans - resulting in lesions on their muzzles, ears and paws. Sequencing of the M.leprae strain in modern red squirrel showed it to be closely related to that detected in the woman from Hoxne. The same strain infects the only other animal based source known to exist, the nine-banded armadillo, which has caused some human cases of leprosy in Florida. "Research has already established that leprosy can be passed from armadillos to humans, so that it may also come from squirrels is an interesting idea," said Inskip. "It is questionable how long the bacteria could have survived on fur or meat, but it's notable that squirrels were also sometimes kept as pets." "Perhaps it's the movement of people and prolonged connection between East Anglia and Scandinavia that's important to our understanding of the history of leprosy in the UK, but further research refuting or confirming the role of the fur trade could be highly enlightening and exciting". The research paper, Leprosy in Pre-Noman Suffolk, UK: Biomolecular and Geochemical Analysis of the Woman from Hoxne is published in the Journal of Medical Microbiology. The squirrels are always there in the thick of it, and it gets worse....I think they may have had a role in the whole dinosaur extinction thing....yep read this in Science Daily recently.. When dinosaurs disappeared about 65 million years ago, mammals thrived. But ancient-mammal fossils are still exceedingly rare, mostly because of their small sizes. In 2005 scientists sent a small skull to a technician, who spent three years removing the rock from around the fossil—finally revealing a saber-toothed, squirrel-like creature. 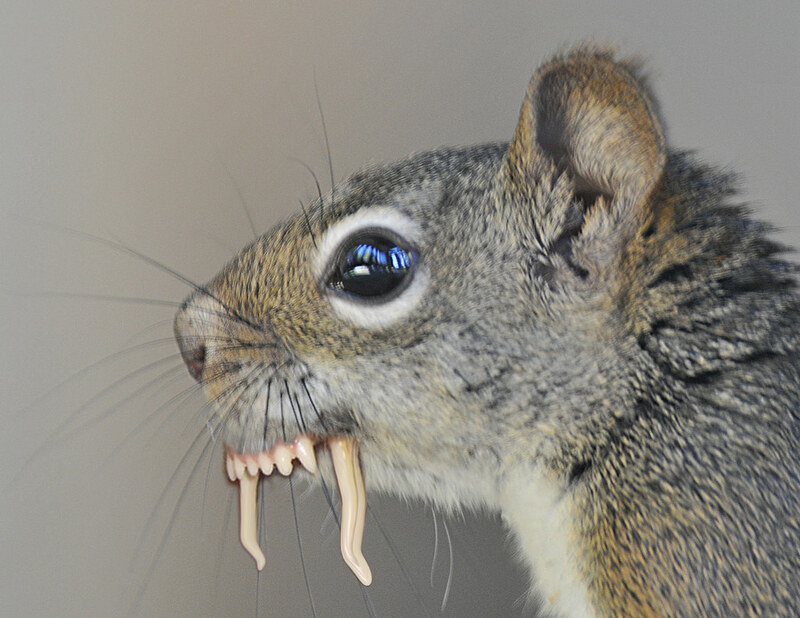 A bloody saber toothed squirrel, that's just great. 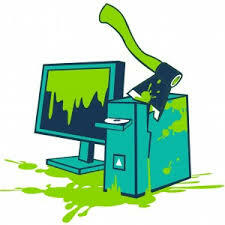 Hope you doing OK Technophobe. It's a dangerous world out there which just got more dangerous because in my experience SQUIRRELS don't get extinct, those sabre toothed vermin won stay quiet for long...THEY WILL BE BACK when we least expect it. Excuse my cultural ignorance, but what is it with all the squirrel posts? Was there a film, or book, or tv show, or computer game that I missed that started it all? Anyway, here is part of a serious article for bed time reading entitled "Killer Squirrel has World's Bushiest Tail"
The tufted ground squirrel, Rheithrosciurus macrotis, is an elusive species living in the dense rainforests of Borneo. Few scientists have set eyes on this rare squirrel, currently listed as vulnerable, though according to folklore, the fierce squirrels have attacked and killed tusked deer called muntjacs to eat their stomach contents, liver, and heart. The squirrel waits on a low branch, then jumps on to the back of a passing muntjac and bites its jugular, forcing the larger animal to bleed out. A disemboweled deer or domestic chicken with none of its flesh eaten is a sure sign of a squirrel kill. Hazlepad has squirrels in the roof. No, not like my bats in the belfry. They are relentless, unforgiving and very smart. 11 November 2016 Despite the date of the original article, our BBC TV news just reported this today. Proof, if you wanted it, that squirrels drive you nuts. British red squirrels are infected with two different strains of the bacterium that causes leprosy, according to a study. Leprosy was thought to have died out in the UK in medieval times, but these recent discoveries confirm that red squirrels carry the disease. Despite this, researchers are keen to stress that the squirrel infection poses little, if any, threat to humans. The research is published in the journal, Science. In 2014 scientists studying red squirrel populations in Scotland noticed that some of the animals had abnormal growths on their ears, snout and limbs. "We found that they were suffering from a form of leprosy," Prof Anna Meredith from the University of Edinburgh told the BBC's Science in Action. The red squirrel is an endangered species found across Eurasia. UK populations are especially under threat due to habitat loss, as well as through direct competition and the deadly effects of squirrel poxvirus following the introduction of the grey squirrel from North America. The scientists do not think that it is having a negative impact on overall population size, although they are not sure of its effects on individual infected animals. There are two species of bacterium that cause leprosy: Mycobacterium leprae, which is often referred to as "human leprosy", and a recently described species that also infects humans, called Mycobacterium lepromatosis. The Scottish squirrels were infected with the more recently discovered form of the bacterium. Following this initial report of the disease, the public alerted the Edinburgh-based researchers to cases of lesions that looked suspiciously like leprosy in other populations of red squirrels across the UK. One of these reports focussed on animals living on an isolated island in Dorset in the south of England, which Prof Meredith was keen to follow up. "We took samples from those squirrels, investigated further and we found that the squirrels on Brownsea Island were also infected with leprosy, and it's the human form of the disease," she said. So squirrels living in different parts of the UK were infected with different species of leprosy. "It's still quite puzzling as to why some [squirrels] have one species and not the other and why this differs in different sites," observed Dr Rachael Tarlinton from the University of Nottingham, who was not involved in the research. "This may be sampling size problems - it's hard to get lots of samples from endangered species." Having shown that infection was widespread they were keen to find out where the infection had come from. To do this the researchers analysed the DNA sequences of the squirrel leprosy genomes and used this data to generate a leprosy family tree. Related bacteria branch together, and the Brownsea Island leprosy bug's closest relatives were bacteria circulating in humans in medieval Europe. One of these was obtained from the skeleton of a leprosy victim who died and was buried in Winchester more than 700 years ago. Winchester is only 70km from Brownsea Island. Surprised by their findings Prof Meredith is now trying to get to the bottom of this "chicken and egg" bacterial conundrum. "What we're trying to tease out now is did the squirrels get leprosy from people and have just been carrying it ever since, or in fact does it work the other way round - were humans originally infected from squirrels?" Irrespective of which came first, the research raises the possibility that animals might serve as an important reservoir for leprosy. Although Prof Meredith doesn't think that the squirrels pose a threat to humans, the possible spillover of bacteria from animals into humans in other parts of the world where human contact with infected animals might be more common is still a possibility. The World Health Organization reports thousands of new cases of human leprosy every year. That's one of the reasons why researchers are keen to study other populations of red squirrel and rodents from other parts of the world. The first step will be to determine whether red squirrels in the rest of Eurasia might be infected, so Prof Meredith is keen for people to email her with details of any other populations of red squirrels that appear to be affected by leprosy. Signs to look out for include abnormal growths on the ear and snout. Squirrels are known to chase after human beings when in need of food or help. Amusingly, the article gives links to other squirrel terror. They can even kill you after death! A man in New York developed an extremely rare and fatal brain disorder after he ate squirrel brains, according to a new report of the man's case. In 2015, the 61-year-old man was brought to a hospital in Rochester, New York, after experiencing a decline in his thinking abilities and losing touch with reality, the report said. The man had also lost the ability to walk on his own. Chen didn't treat the patient, but she uncovered the case while writing a report on suspected Creutzfeldt-Jakob disease cases seen at her hospital in the last five years. The report was presented on Oct. 4 at IDWeek, a meeting of several organizations focused on infectious diseases. Creutzfeldt-Jakob disease (CJD) is a progressive neurological disorder that affects only about 1 in a million people each year worldwide, according to the National Institutes of Health (NIH). It's a "debilitating disease" that progresses quickly and usually results in death within one year of diagnosis, Chen told Live Science. There is no treatment or cure. The disease results from prion proteins that fold abnormally, leading to lesions in the brain. There are three forms of Creutzfeldt-Jakob disease (CJD): one that is inherited, one that comes from exposure to infected tissue from the brain or nervous system (this form includes vCJD), and one type that is "sporadic" and does not appear to have a genetic or environmental cause. The sporadic type is the most common, responsible for 85 percent of cases, according to the NIH. Because CJD is so rare, doctors at Rochester Regional Health were surprised when four suspected cases of the disease occurred at the hospital within a six-month period, from November of 2017 to April of 2018. That number is higher than expected based on the population of the Rochester area, which has about 1 million people, said study co-author Dr. John Hanna, also a medical resident at Rochester Regional Health. That's when the doctors came across the case tied to squirrel brains. Tests indicated that this was a "probable" case of vCJD because of the MRI finding and a test that showed specific proteins in the patient's cerebrospinal fluid, which often indicate the disease. However, CJD can be confirmed only with a test of brain tissue on autopsy at death. Although the patient passed away after his diagnosis, Chen and colleagues are working to obtain access to his medical records to see if CJD was confirmed at autopsy. If so, such a confirmation would be highly unusual; only four confirmed cases of vCJD have ever been reported in the United States, according to the Centers for Disease Control and Prevention. The review of the five cases revealed a concerning finding: Diagnosis of the condition was often delayed; in one case, about two weeks passed before doctors suspected that a patient had CJD. In that case, the patient, a 65-year-old woman, had undergone plasmapheresis, a blood-filtering procedure, and a gynecological surgery before her diagnosis. Quick diagnosis of CJD is important, because infectious prions could contaminate equipment used on patients with the disease, and this might transmit the condition to others if the equipment is not properly cleaned. Diagnosis may be delayed, in part, because CJD is rare and is not "on the tip of the physician's mind" when assessing a patient, Hanna told Live Science. In addition, once doctors suspect CJD and order a cerebrospinal fluid test, it typically takes around two weeks to get the test results. The report highlights the need for doctors to keep CJD diagnosis in mind and for hospitals to have "policies for infection control when it comes to CJD," Hanna said. The pick is about 14 rows down; titled: "Holiday aisle". Just in case it can't be found, it shows hanging squirrel decorations - which look executed. As a serious matter concerning squirrels, I would like to point out that when we had global warming, after the dinosaurs went west, mammals of many types became sabre-toothed and gigantic until the ice age brought them down again. However they did not go fully extinct. Small extant cousins like the grey squirrel kept and nurtured their genes.